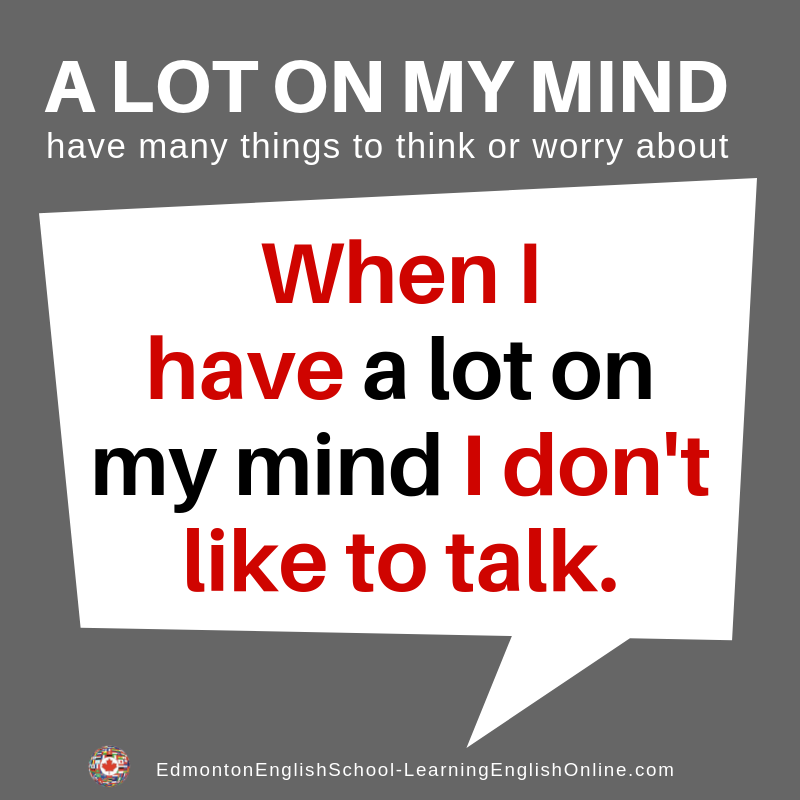 (to have) A LOT ON ONE’S MIND? 1. I want to ask my boss if I can take a few days off at Christmas, but I think I will wait until next week to ask. She has a lot on her mind right now. On Friday, a team from Head Office is coming for our annual review.